JERSEY CITY, N.J. – Leasing is underway at Hamilton House in downtown Jersey City where The Shuster Group has delivered a boutique, amenity-rich rental building featuring generous living spaces desired in Jersey City, but rarely found in today’s new construction marketplace. Initial occupancy is scheduled for March 1st. Ideally located at 255 Brunswick Street just steps from Hamilton Park where single professionals and families come together in one of Jersey City’s most dynamic and friendly neighborhoods, Hamilton House features an intimate seven-story design from acclaimed architect Fogarty Finger that greatly enhances the overall streetscape. The distinctive building boasts just 75 one-, two- and three-bedroom rental residences, and a well-thought-out offering of amenities and services. The ground floor will be home to a Kiddie Academy educational daycare center, while additional commercial spaces ideal for office and professional services are located on the first floor. Residences at Hamilton House feature soaring living spaces that combine with designer finishes and appointments to create a modern living experience. Spacious interiors include 9’ ceiling heights, white Oak hardwood floors, oversized windows that bathe the homes in natural light, Italian kitchens with Ceasarstone countertops, stainless steel appliances and under cabinet lighting; in-home Bosch washer/dryer, walk-in closets, and sleek bathrooms. Select residences also offer balconies or private patios, while all homes feature efficient cooling and heating systems, with gas heating paid by the landlord. Monthly rents currently range from $2,395 for one-bedroom plans, from $3,150 for two-bedroom homes and from $4,395 for three-bedroom residences. The Shuster Group fashioned a full suite of amenities to enhance residents’ lifestyles at Hamilton House, including a dramatic lobby attended by a doorman, state-of-the-art fitness center, Yoga room, a Business Center and a Resident’s Lounge with dining area conveniently situated adjacent to a Children’s play room. Set against a stunning backdrop of Manhattan skyline views, a huge rooftop terrace features a garden area, lounge seating and grilling stations. Residents also enjoy Wi-Fi in common areas, a designated bike storage room, cold storage for deliveries, private storage on each floor, a pet-friendly atmosphere and available onsite parking. Complimentary shuttle service is provided to the PATH station. Three furnished model homes are open for viewing at Hamilton House. Staged by OOR Design, the models dramatically showcase the exceptional living spaces and attention to detail found throughout the homes. Those surroundings include Hamilton Park, a five-acre oasis and recreational destination featuring dog parks, playgrounds, picturesque landscaping, a splash park, tennis courts, a basketball court, and numerous farmers markets, concerts, and festivals held throughout the year. The neighborhood also boasts an eclectic offering of restaurants, shops and cafes, while commuters appreciate the convenience of the nearby Newport PATH Station, NY Waterway Ferry Terminal and Holland Tunnel. For those with school-aged children, educational facilities include Kiddie Academy Preschool within Hamilton House, The Garden Preschool Cooperative, Hamilton Park Montessori, Cordero Elementary, Golden Door Charter and the highly-regarded McNair Academic High School. Hamilton House also continues Shuster Group’s commitment to exceptional service, with exclusive benefits to residents including onsite maintenance and complimentary shuttle service to the PATH. In addition, the developer has introduced to Hamilton House The Art Project, a collaboration of The Shuster Group, the Jersey City Economic Development Corporation and the City of Jersey City to promote local artists by displaying their creations in the building and selling the works of art to help inspire underserved youths through advanced visual arts courses. For more information on Hamilton House and to schedule a private tour of the furnished model residences and amenity spaces, please call 201-448-8757 or visit www.hamiltonhousejc.com. The building is located at 255 Brunswick Street, Jersey City, NJ 07302. JCity Realty is the exclusive leasing agent for Hamilton House. 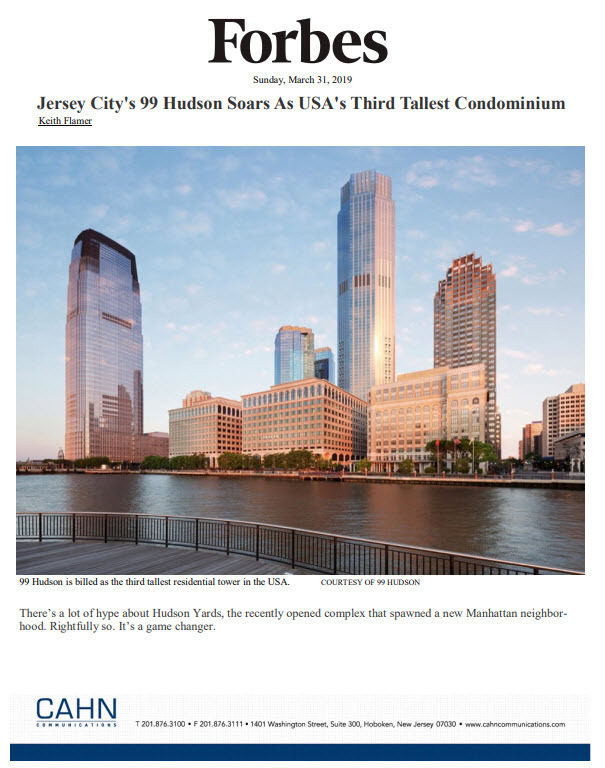 ← The New York Times: Moving to Jersey City? Join the Club.